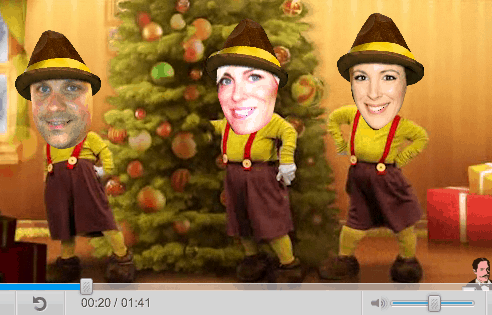 Last night, my friend sent me a video she made of her family in a JibJab video. I watched it about three times (laughing all the way through) and then did one for some of my friends. They also LOVED IT! It’s really easy to do! You can either snag the photos from your computer or your Facebook profile (which I thought was super easy). Then you can download, email, or post to Facebook for your loved ones to watch. Guaranteed smiles! And isn’t that what the holiday season is all about. That good feeling? Click here to check JibJab out.